When teachers opened the doors of the new Pleasant Valley campus to its first students, the youngsters probably thought the building seemed a little bare. The newly constructed school was completed earlier than expected, and the new chairs and desks had yet to arrive. However, the lack of furniture didn't stop the students from learning. The caring teachers of the Pleasant Valley campus impressed upon their pupils the importance of gaining knowledge even as they sat on the floor during the first two weeks after the new school opened in the spring of 1976. Forty school years later, the Pleasant Valley school community is preparing to celebrate a continuation of the same caring and dedication to the craft that their predecessors showed. 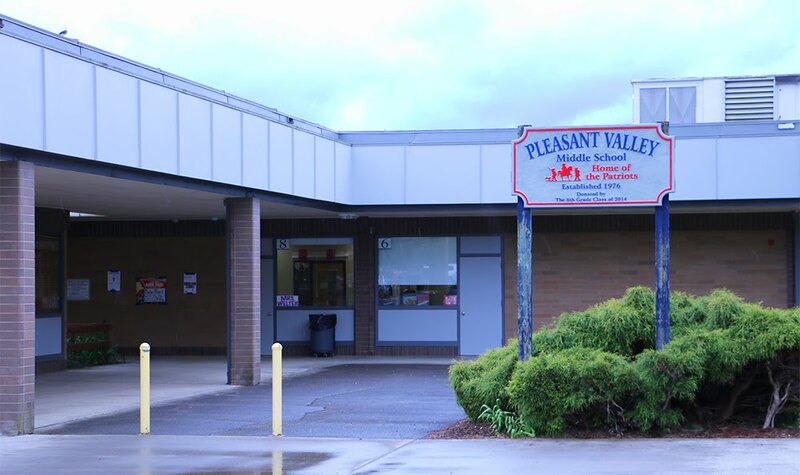 Pleasant Valley will host a 40th anniversary celebration of the campus on Thursday, May 18 at 6 p.m. followed by an open house from 7 to 8 p.m at the Pleasant Valley campus, 14320 NE 50th Ave. in Vancouver. Current and former staff members, families, students, and community members are invited to attend the event to celebrate the school's history and share memories of the primary and middle schools. Some Pleasant Valley teachers have worked at the schools for their entire careers. 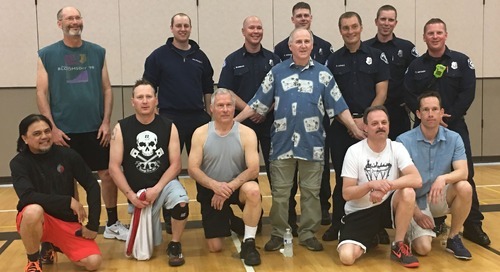 Music teacher Jim Scheurman, who started teaching at Pleasant Valley in 1984, remembers fondly his first weeks on the job, "The staff was like a second family to me, and we had many social gatherings from bowling to game nights," he said. 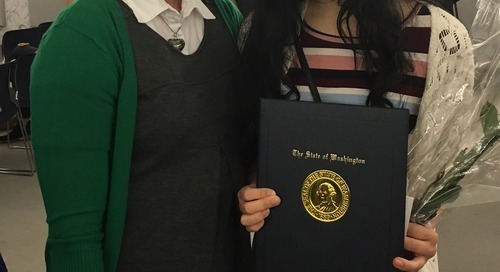 "Among the highlights, about 175 students showed up to sing "We are the World" at our international-themed open house, and I couldn't get to my keyboard to accompany them!" But what Scheurman loves most about Pleasant Valley Primary is the students. "They're the reason I pursued a career in education in the first place. The sincere notes, the artwork and the little comments such as 'I love music!' and 'You're my best music teacher!' are the fuel that keeps me here and sharing music with the kids." Some current teachers had as their students other teachers who now teach their own students in neighboring classrooms on the same campus. And one of Pleasant Valley's first grade teachers even remembers when his dad helped build the school. Pleasant Valley's current campus wasn't its first. Pleasant Valley began as its own school district in the mid-1800s. According to the book "Battle Ground … In and Around" by Louise McKay Allworth Tucker, the first school building for the independent Pleasant Valley District No. 60 burned down. Community members built a second school building in 1880 at the northeast corner of Salmon Creek Street and 50th Avenue and moved it in 1932 to accommodate a third Pleasant Valley school built of brick at the same location. The brick school building was vacated by Pleasant Valley in 1976, but still exists at its original location as a private residence. Pleasant Valley District No. 60 consolidated with the Battle Ground Public Schools district in 1957. Battle Ground used bonds approved by the community to construct the current Pleasant Valley campus just a quarter mile south of the 44-year-old brick building on NE 50th Avenue. The new campus took less than two years to build.